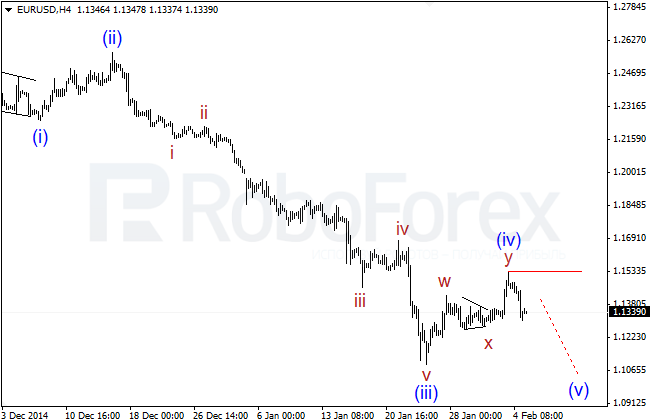 Probably, Euro has completed wave (iv) of [iii] in the form of double zigzag. The critical level for this scenario is at 1.1533. In the nearest future, the pair is expected to move downwards inside wave (v) of [iii] and test local minimums. 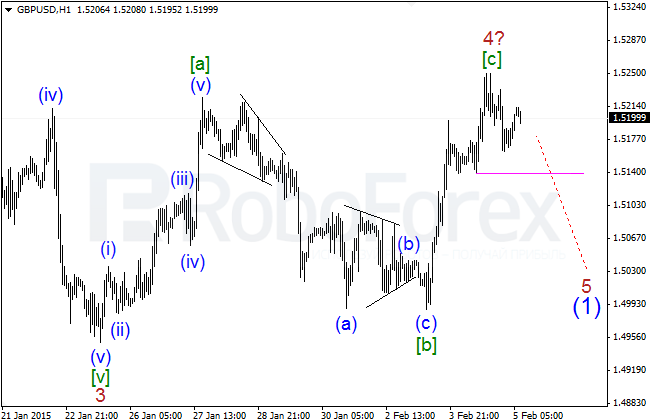 Euro has made quite a fast movement from its critical level at 1.1533, which means that the price may be forming the first wave of (v) of [iii]. 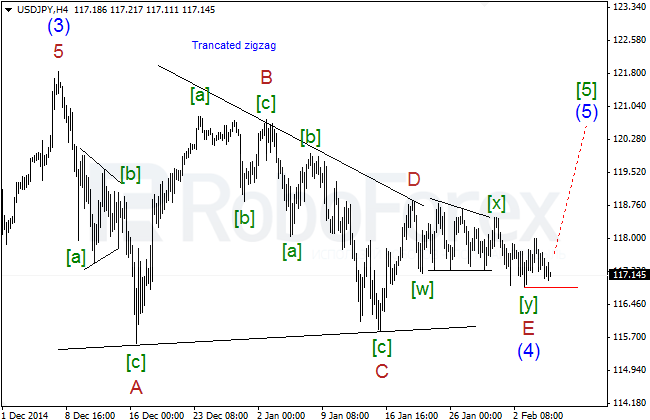 In the nearest future, the market may form the first descending five-wave structure and its correction, and then one can consider opening short positions with the targets below 1.0900. It looks like the price may complete wave 4? of (1) in the form of zigzag in the nearest future. 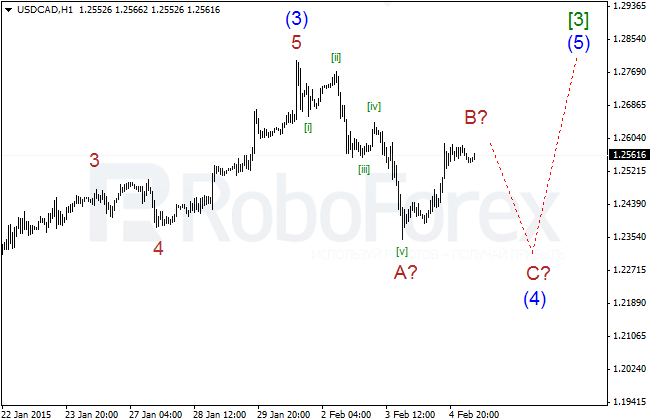 However, right now it’s only an ascending three-wave structure and wave 4? of (1) may take the form of a more complicated pattern. 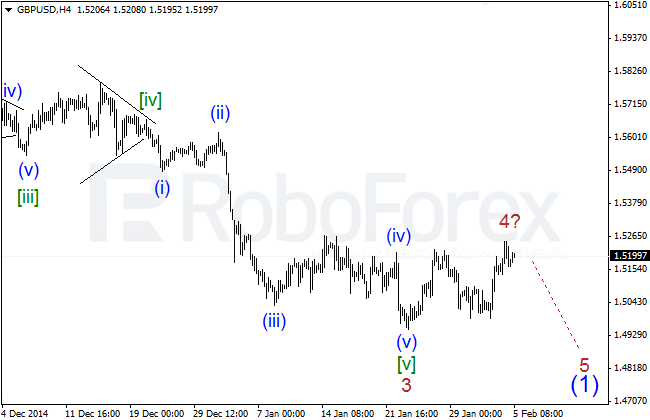 The descending movement towards the local maximum at 1.5250 is taking the form of a three-wave structure, so right now it’s quite early to talk about a new downtrend. 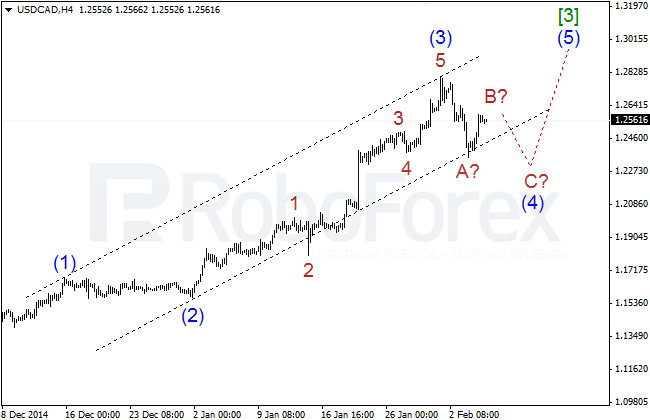 In the nearest future, the market is expected to finish wave 4? of (1). It looks like Yen is still forming horizontal triangle inside wave (4) of . So far, there are no any visible movements upwards and the price is moving between the critical level and the confirming one. The pair is moving close to the critical level, breaking of which may change the chart structure. 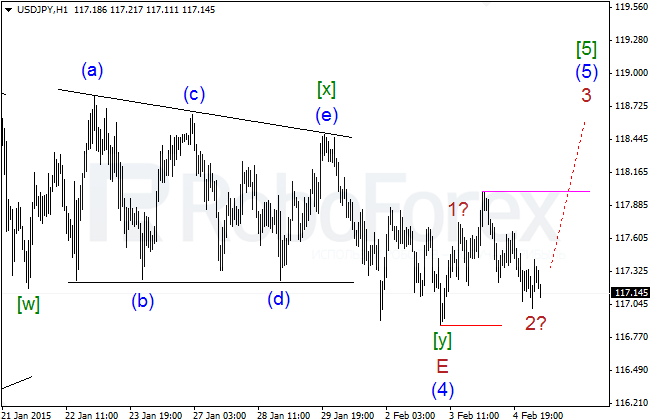 Probably, the price has completed wave the first ascending impulse inside wave 1? of (5) of ; wave 2? of (5) of  has taken the form of extended flat. If the price breaks the confirming level, the market will continue moving upwards. 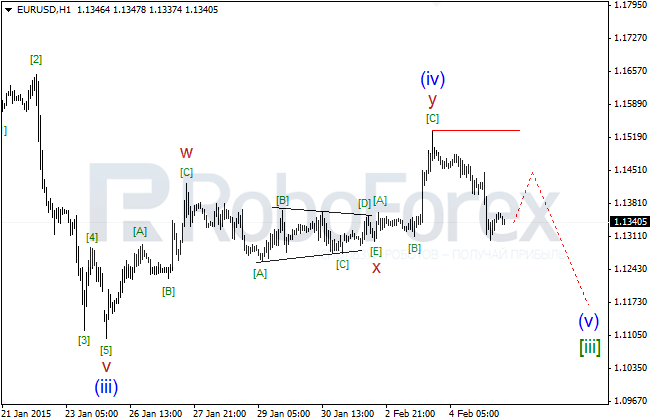 The current correction inside wave (4) of  continues, and probably, is taking the form of zigzag, because its wave A? of (4) of  turned out to be a five-wave structure. The market is expected to complete the correction and reach new local minimums. Most likely, the price has completed impulse inside wave A? of (4) of . Right now, the market is forming wave B? of (4) of . In the nearest future, the pair is expected to start a local descending movement inside wave C? of (4) of .